The U.S. Department of Justice recently announced that Indiana University Health Inc. (“IU Health”) and HealthNet Inc. (“HealthNet”) will pay the federal and state government $18 million to resolve alleged violations of the False Claims Act. The settlement was a result of an investigation by the Department of Health and Human Service’s Office of Inspector General and the Indiana Attorney General’s Office Medicaid Fraud Unit into allegations brought by a whistleblower. The whistleblower, in this case, is an obstetrician, Dr. Judith Robinson, former director of women’s services at HealthNet and medical director of obstetrics and gynecology services at IU Health. HealthNet is Indiana’s largest federally qualified health center, operating eight primary care centers, one obstetrics center, and one maternal-fetal medicine center, as well as dental and pediatric clinics. It provides care to about 58,800 patients each year, most of which are at or below the federal poverty level. During her period of employment, Robinson became concerned about the HealthNet’s treatment of high-risk pregnant women and their babies. In her suit, Robinson alleged that HealthNet used certified nurse midwives rather than physicians to oversee the care of these vulnerable patients, thereby exposing the patients to unnecessary risk. Robinson also alleged that the care provided by the midwives was improperly billed to Medicaid as though doctors had provided those services. Robinson said she tried to work within the existing hospital system to correct the situation but, in 2013, she was fired. She subsequently filed her whistleblower complaint. After review, the Department of Health and Human Service’s Office of Inspector General and the Indiana Attorney General’s Office Medicaid Fraud Unit joined the whistleblower suit. According to the complaint, the Justice Department alleged that from 2013 to 2016, IU Health and HealthNet engaged in a mutually beneficial financial arrangement which was intended to induce HealthNet to refer its OB/GYN patients to IU Health’s Methodist Hospital. Instead of telling low-income patients that they had options as to where to deliver their babies, the suit alleges, HealthNet providers directed those patients to IU Health facilities. IU Health then billed Medicaid for patient hospital stays, tests and procedures. The complaint also alleges that IU Health gave HealthNet an interest-free line of credit of more than $10 million, which the clinic was not expected to substantially repay, allegedly as an inducement for this arrangement. Such an arrangement would be a violation of the anti-kickback statute. The anti-kickback statute prohibits the knowing and willful payment to induce the referral of services or items that are paid for by a federal health care program, such as Medicaid. Additionally, claims submitted to federal health care programs in violation of the law are considered “false claims” under the False Claims Act. 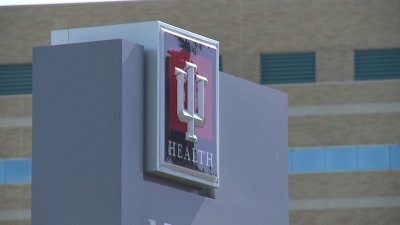 IU Health and HealthNet officials deny the accusations and note that the case has been settled without any admission of wrongdoing. Under the civil settlement, IU Health and HealthNet will each pay about $5.1 million to the United States and $3.9 million to Indiana, according to U.S. Attorney Josh H. Minkler’s office. If you are an employee of a business that contracts with the federal government or with the State of Utah to provide health care services and you have reason to believe your employer is fraudulently billing the government for services or care call our Whistleblower Hotline right away at (801) 323-5000. Our experienced whistleblower attorneys have experience representing individuals in a variety of industries, including healthcare, and protecting their rights in cases which fall under the False Claims Act.